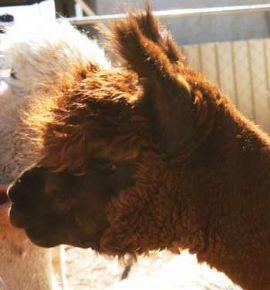 A black Bolivian Grand Champion Acero Marka's Champ is a non-fading true black male who produces offspring with fine, bright fleeces. 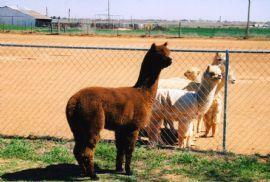 Champ has over 50 cria on the ground, many of whom are AOBA and Futurity ring winners. We purchased Theresa at an auction when we had just gone to look and had no intention of buying. 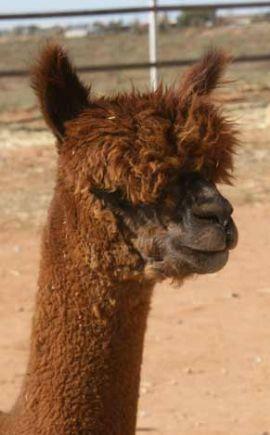 I opened her fleece and knew I wanted her for our breeding program. She has not let us down. She is an excellent dam who produces excellent cria. Looking for some great Bolivian dark genetics at a bargain price? Then check out Tobiano. This male was the sleeper of our breeding program who developed into a stunning herdsire. 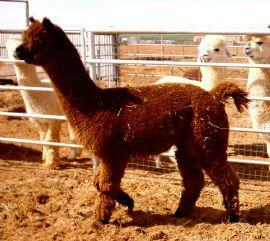 Just look at his fleece numbers – for a dark male of his age those are some pretty nice numbers – and you should see his cria! 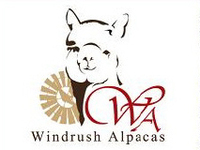 We have been thrilled with the cria he has produced to date; they all have their sire’s fine fleece and super brightness. Take advantage of this breeding fee before we come to our senses and increase it!